Pour the bottle of wine in a large pitcher or half gallon mason jar. Add 1 oz brandy. (We were out of brandy so he substituted rum. He’s a big fan of the rum.) Then add 1 oz triple sec which adds a little citrus flavor and sweetness. It will not be quite sweet enough so add sugar (dissolved in a little water), agave nectar or xylitol/stevia blend (I make my own here). Chop the fruit and add it to the jar. You can use peaches, apples, oranges, strawberries. 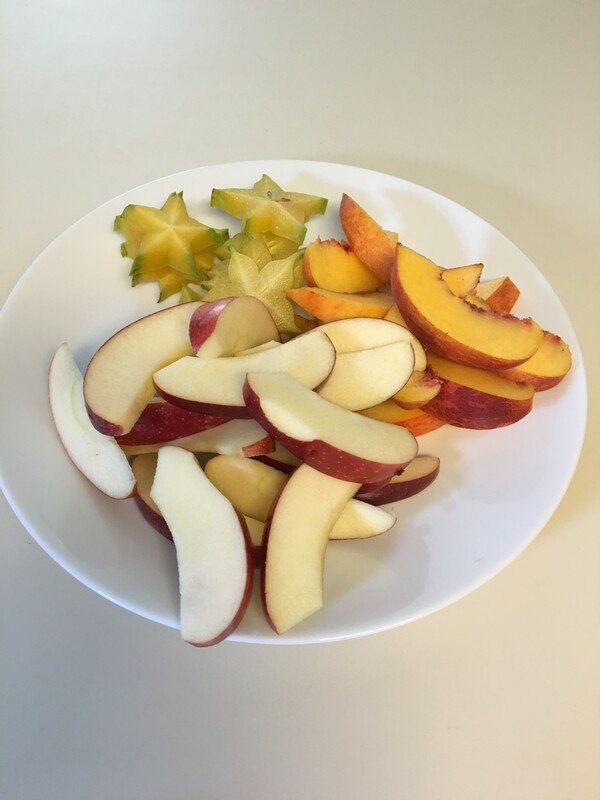 I had some starfruit from my sister-in-law’s tree and I was out of strawberries and oranges so I substituted. Add the cinnamon stick. Chill, allowing the flavors to steep. When you are ready to serve, pour into a large glass, adding some fruit and a splash of seltzer water to add some fizz. Or you can drink it straight up. Bring a jar to a party and make friends! Olé! 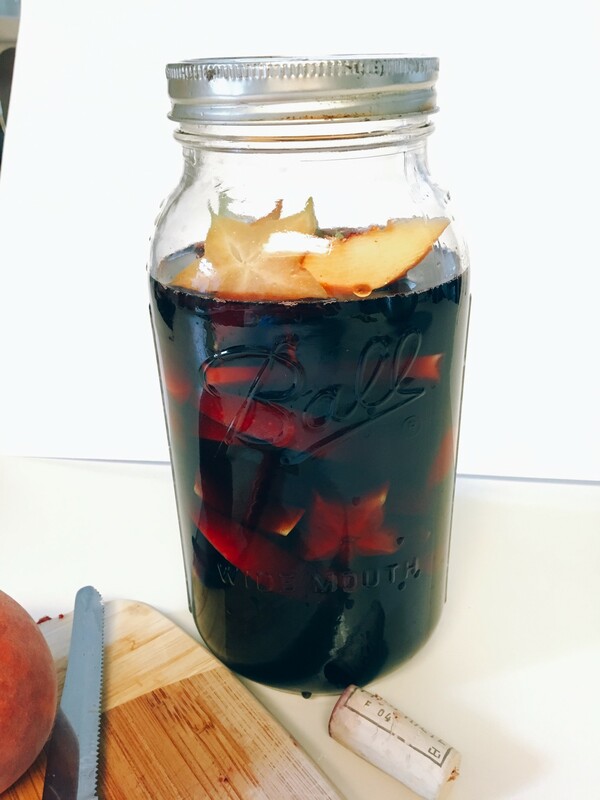 I love a good sangria but have never made one myself. I’ll have to try this one! It’s such a good summer drink but beware! It’s strong and it goes down really easy!! This IS similar to mine! I’ll share mine with you one day soon. 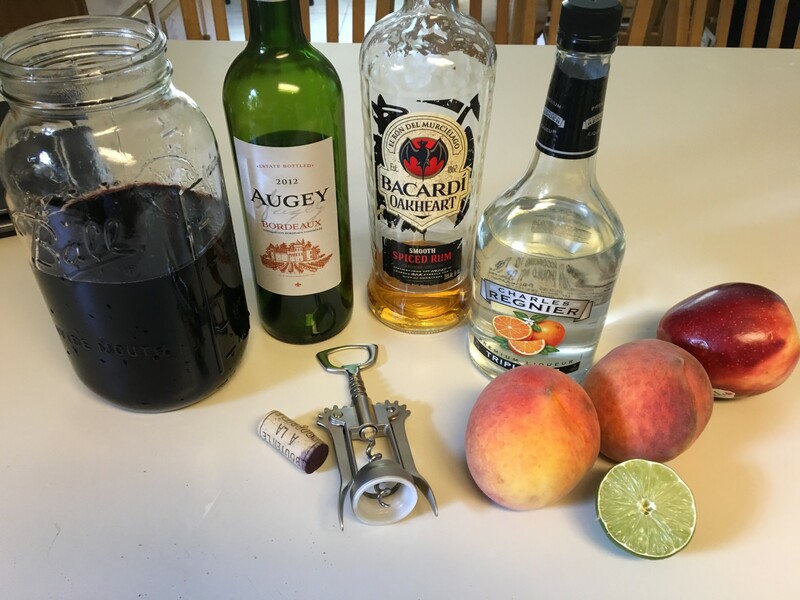 The red sangria at Texas Roadhouse and the blackberry sangria at Applebee’s are really good, but it’s a lot cheaper to make at home. Absolutely! 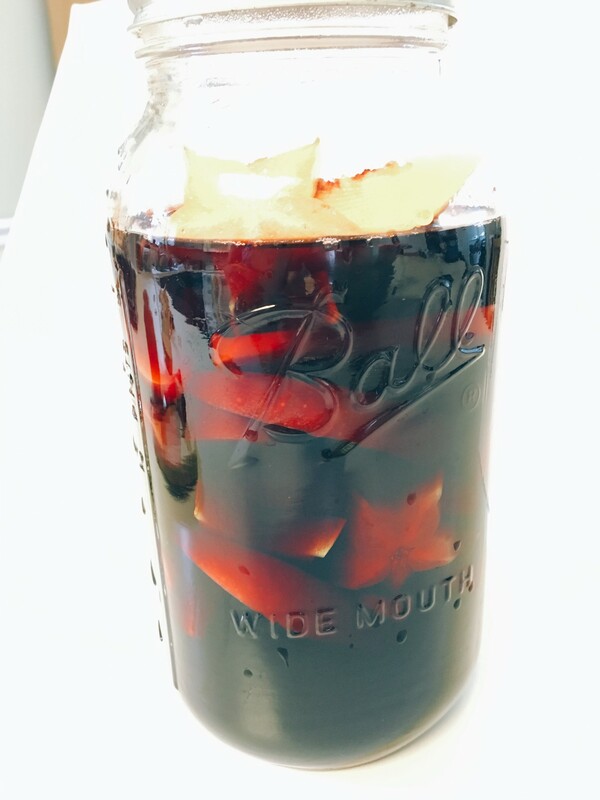 Blackberry sangria?!? Oh my!! This sounds great with the brandy and triple sec. I’ll have to try it. 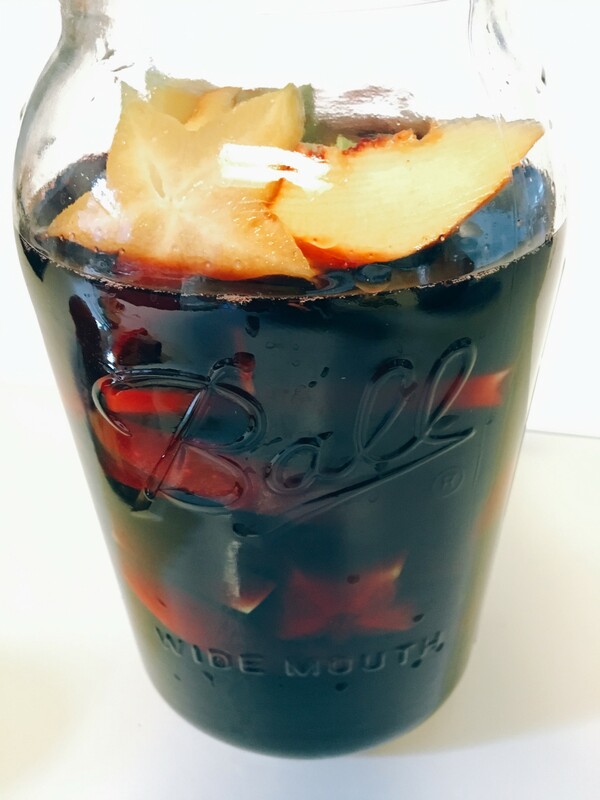 Also a quick sparkling twist – you can add frozen fruit to sparkling wine in a pinch for a quick refreshing summer drink – the juices melt into the drink to add a fruity flavor and the frozen fruit keeps it cool – its like a quick fruity champagne sangria-ish summer drink. Yummy. Oooo! I like that Kellea! And I always keep frozen fruit for smoothies! I’ll have to try this! Thanks for sharing!